In November 2015, the government released its green paper on higher education reform. Tucked away on page 68 was a proposal to exempt English universities from the Freedom of Information Act. Condemned by Warwick SU’s Education Officer, the proposed move threatens to move English universities out of the public domain in order to “level the playing field” with private higher education providers. Today, we can reveal that the Boar has been leaked a draft copy of Warwick’s green paper consultation response. In it, Warwick states its position that “universities should not remain within the scope of the Freedom of Information Act”. The deadline for submitting consultation responses to the government is Friday 15 Jan, meaning this is likely to be Warwick’s final position. As we understand it, the document has been presented to the University Senate Committee this week for comment. If accepted, this proposal would have a catastrophic effect on student journalism. We (the Editors-in-Chief of the Boar and Warwick Globalist) are calling on Warwick to alter its public position on Freedom of Information: in favour of transparency, openness, and democracy. 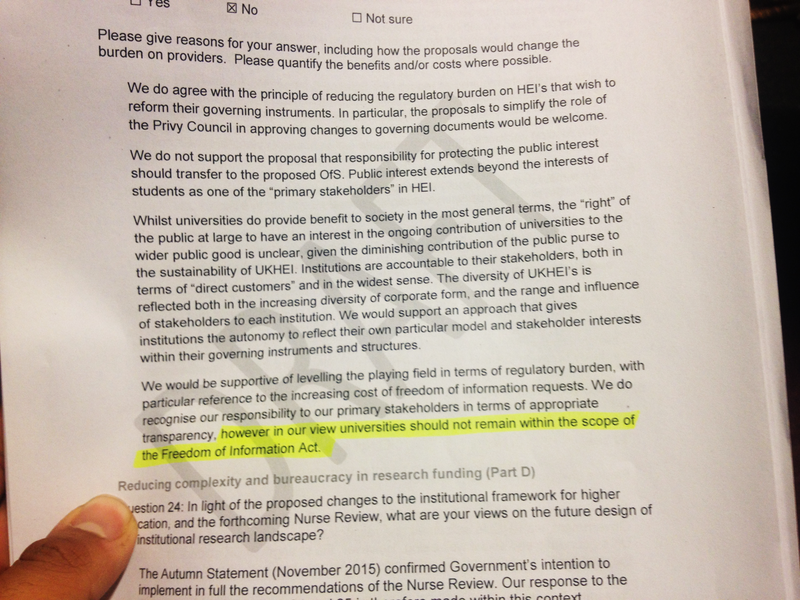 The statement explicitly says: “Public interest extends beyond the interests of students as one of the “primary stakeholders” and that “the diversity of UKHEI’s [UK Higher Education Institutions] is reflected both in the increasing diversity of corporate form, and the range of influence and stakeholders to each institution.” This alarming statement provides more evidence that Warwick’s management are increasingly willing to sacrifice the needs of students to that of other corporate “stakeholders”. In a climate that is becoming increasingly privatised and secretive, the Freedom of Information Act provides a portal for students and other concerned individuals to obtain information and data that would otherwise be unavailable. It covers an array of topics affecting students and the wider public, helping reveal the inner-workings of the University. A small sample of stories we’ve broken thanks to the Act includes: demonstrating the presence of asbestos in every single Westwood and Tocil bedroom, the lack of student consultation over WBS’ Shard project, exposing staff that earn over £100k whilst many others fall below the living wage, and evidence of collaboration between BP and Warwick Security over protests on campus. Other societies have uncovered the number of animal tests at Warwick, second year dropout rates, and the structure of the University’s investment portfolio. Given this record of relative success, it is disturbing to discover that exposés and rigorous journalism could become much harder if Warwick continues to hold this position on the Act. 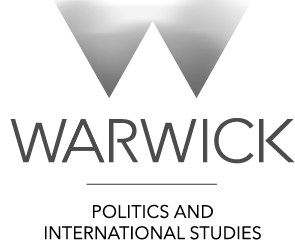 Exempting universities, as Warwick is advocating, is not in the interests of student journalists, campaigners, or the vast majority of students. We would like to stress that the Freedom of Information Act is by no means perfect; if anything, its remit over higher education ought to be strengthened, rather than eliminated. There are numerous exemptions which are liberally applied – the Times Higher Education Supplement found that only 35% of universities provided all the information they requested. In 2015, Warwick provided full disclosure to less than half of requests listed on WhatDoTheyKnow.com, according to our analysis. 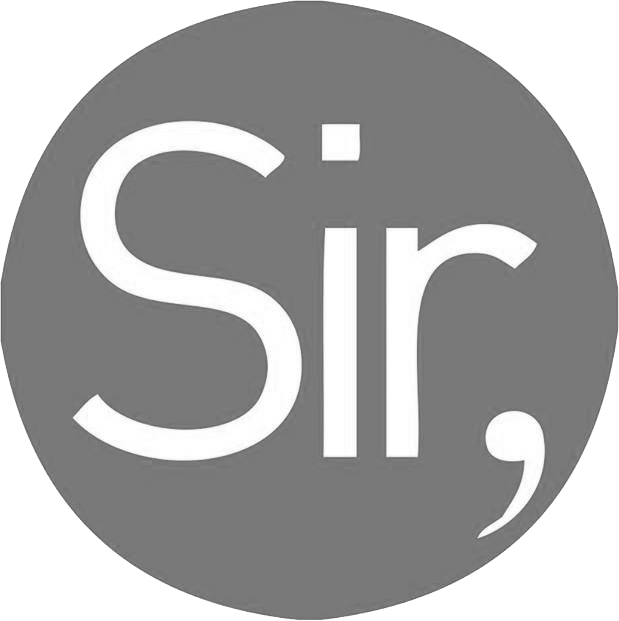 Requests listed on this website are also more likely to be positively responded to, as they’re publically displayed; the true rate of rejection by Warwick is likely to be far higher. Still, to lose it would be an attack on basic democratic rights. Students have a legitimate right to access raw data and information on their university, to understand what decisions are being made – decisions which impact their lives significantly – and how they’re being taken. To deny all students, including student journalists, the opportunity to scrutinise and hold the University to account in this way, is to deny them access to the truth. This is something that we strongly condemn. We stand firmly against Warwick’s current position and implore the management to reverse their position before submitting the consultation this Friday. Whilst it is true that the Russell Group have already stated their opposition to FOI, Mr Dunn neglected to offer evidence that Warwick has specifically publicly advocated this policy already. Regardless and whether or not this information is or is not already known, we reiterate our call for Warwick to change its public position. You can now also see an official statement from the Student Press Association condemning this action too and a call to sign their petition here. This article was jointly published in the Boar.